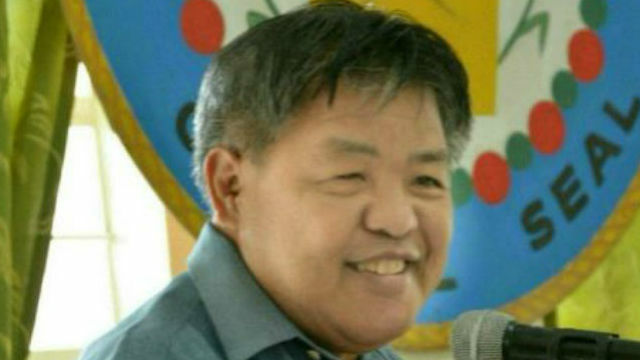 BONTOC, Mountain Province – Governor Bonifacio Lacwasan does not see poverty leaving his landlocked province until after three years. The governor aired that grim assessment during a workshop consultation for the implementation of the Department of Agriculture (DA) Special Area for Agricultural Development (SAAD) for FY 2019 held last January 29, 2018 in Bontoc, Mountain Province. SAAD is a six-year locally funded project under the Department of Agriculture that focuses on the most marginalized agricultural and fishery sectors in the country aiming to alleviate poverty of poor farmers and fisherfolks through provision of agricultural and fishery livelihood-related projects to its target beneficiaries, the implementation of which started in 2017 with Apayao as the first Cordillera province covered. In his message, governor Lacwasan reiterated the importance of cooperation and support among the barangay captains under the coverage of the program to implement the program wisely. “For the barangays who were selected, please cooperate and be obedient to implement this project and we hope that after three years we will also graduate from poverty,” Lacwasan said. The consultation-workshop was done in preparation for the smooth implementation of the program next year in the said province. According to the Philippine Statistics Authority, Mountain Province had the highest poverty incidence in the Cordillera at 49.9% in the first semester of 2015. It increased by 4.6% since the first semester of 2012. For Mountain Province, all of the ten municipalities were chosen as beneficiaries with one barangay per municipality as main focus of implementation. Identified program interventions are swine production, poultry production, mango production, citrus production, banana production, coffee and cacao production, tiger grass and swamp gabi production, brown egg production, quail egg production, legumes and vegetable production. Selection of the barangay coverage of the program was based on the Community Based Monitoring System (CBMS 2013) poverty incidence rate data. These are Bekigan in Sadanga, Leseb in Bauko, Ankileng in Sagada, Pudo in Natonin, Mabalite in Tadian, Latang in Barlig, Napua in Sabangan, Catengan in Besao, Dalican in Bontoc and Bunot in Paracelis. Provincial Agriculturist (PA) John Likigan briefed the participants regarding the program. All of the Municipal Agriculturists (MA’s) were present during the activity together with the Barangay Captains and some Barangay Kagawads. SAAD Program Director Bernadette F. San Juan was also present along with her staff. Other participants came from the Provincial Agriculture’s Office, and DA-CAR. The workshop consultation aimed to create a proposed design that will fit the needs of the beneficiaries by involving them in the planning process. “We hope that your commitment and cooperation will be there from the start of the program up to the end of the project,” stated Ms. Jane Tumapang, Assistant Provincial Agriculturist in her closing remarks.